Its that time of year again and all of the Christmas ranges are being released! One of the most anticipated has to be that from Lush with devout Lushies asking in store for several months prior to the launch when it will be. Well this year its on 4th October (this Friday!) so I thought I'd give you a few sneak peeks this week to get you s excited about the range as I am. 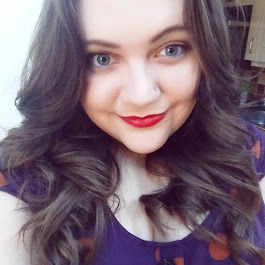 First up are two items that I've already pretty much fallen in love with being a bit of a lipstick junkie. We have Santa's Lip Scrub which is a gorgeous, cherry cola fragranced scrub complete with edible glitter hearts and lip plumping lime and black pepper oils which is designed to not only taste amazing but get your lips beautifully soft and ready for those festive parties where you may want them kiss-ably soft. 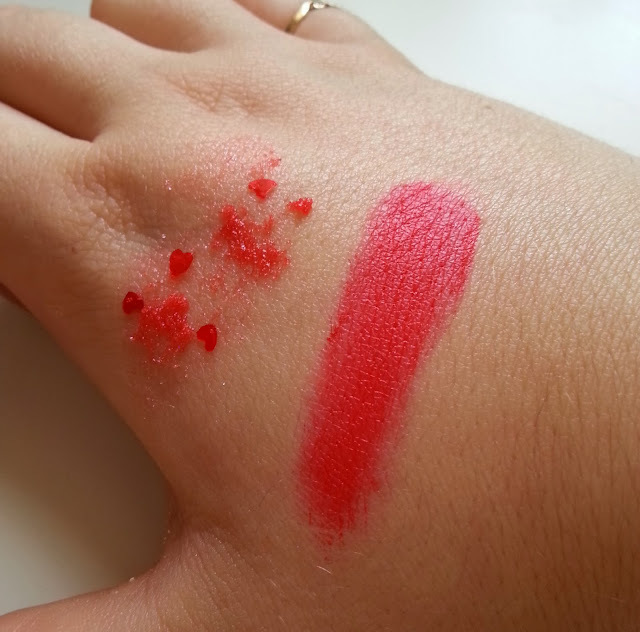 There is also Santa Baby lip tint which is a vibrant holly berry shade of red with the same scent made up from cherries, dates, lime and pepper giving that cola aroma. A great festive lip colour to pair with shimmery eyes. As you can see both have a lovely vivid colour. They're also both very soft on the skin. Santa's Lip Scrub has a much softer base than some of the previous scrubs. It uses a blend of extra virgin coconut oil and coconut milk powder as the base to keep the texture light yet nourishing. 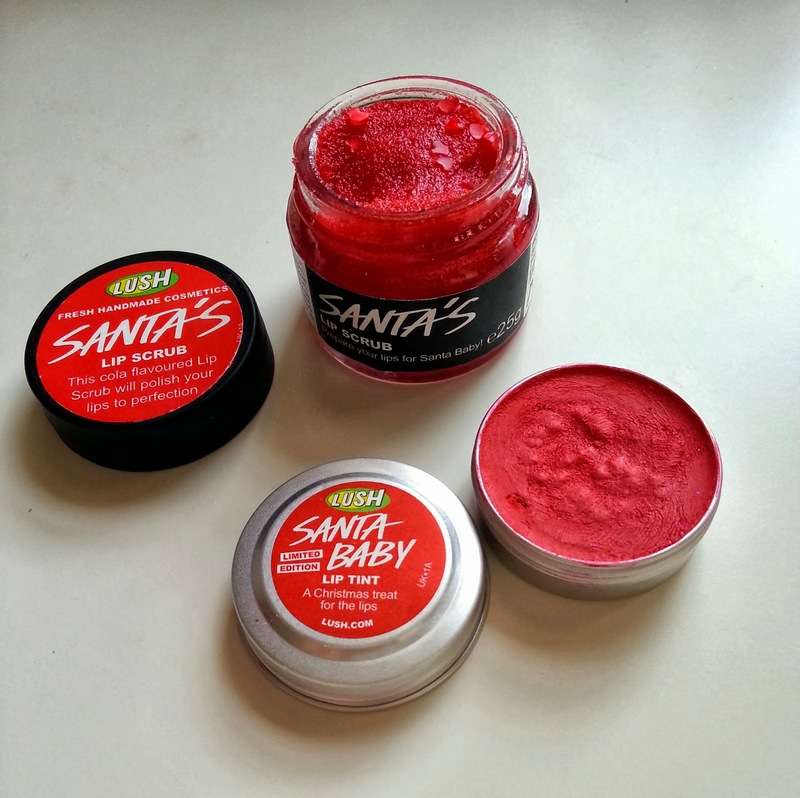 On the other hand, Santa Baby uses a lovely rich blend of fair trade shea butter, organic cocoa butter, capuacu butter and aster oil to give that lovely soft texture and stop lips from drying during wear making the tint great for wearing all day and evening without worry of lips getting chapped and sore. Oooh love the sound of the scrub, I didn't like the popcorn scrub last year but will deffo be getting my hands on this!